JACKSONVILLE, Texas (October 4, 2018) - Do good works and service, carry on their work, develop what they admired, develop in yourself what you admired in them, are all ways we honor someone’s memory. Saturday night, October 6, at the Jacksonville Rodeo Arena the Tuff Hedeman Bull Riding Breakout Series will celebrate the life of Nicky Dan Wheeler. Nicky Dan Wheeler wrote his own story. He decided first to use his stunning gifts: his strength and athletic ability to ride rough stock, his wit and way with people in creating a youth fundraising business, and his mind and heart, to figure out at a reasonably young age, who he was, what he believed, and how to live his best life acting on what he believed. Nicky had a genuine love of his sport and was loved by all he met. Nicky helped numerous others to compete and to love rodeo as well. “Whatever he did he was successful, a smart guy, and he treated everyone like they wanted to be treated,” remembered 4-time World Champion and Pro Rodeo Hall of Famer Tuff Hedeman. Nicky Wheeler is remembered as a "great guy," a dedicated father and husband, a superior bull riding judge, a bucking bull man, rodeo producer, and talented fundraiser, but will be honored Saturday night in Jacksonville first and foremost as a bull riding champion. Nicky was a bull riding champion before he became the champion of the youth. The kind of guy that rose from every defeat. “Nicky was a great bull rider regardless of what era it is - there are very few people that go to the NFR (1977) and ride 9 out of ten,” said Hedeman, a friend and colleague. Most of the bull riders from that era say he could have won as many world titles as he wanted to – he had the kind of talent like Jim Sharp and Sage Kimzey he looked flawless riding bulls. He was described as never moving his head, his free arm was perfect and was always in complete control. “Nicky Wheeler had the talent and had the best personality and sense of humor and taught me what the word humble meant -I didn’t have much humbleness as you know and I didn’t care – but I learned what it was by being around him – he did not get excluded from anything, just a great person,” said 8 Time PRCA World Champion bull rider Don Gay. Many of the bulls you see tonight are a direct product of the change in the industry that Nicky Wheeler led. 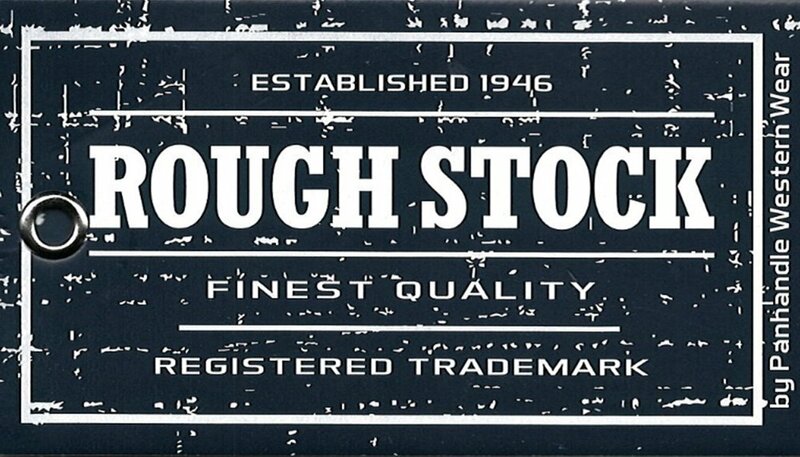 Along the way, he was buying green crossbred bulls to buck at his arena. Wheeler's arena became a mainstay in developing bulls and bull riding talent in East Texas. “After Nicky retired from riding, he was judging the PBR in New Mexico, and we left there and drove to Alex Naccarato's in California, and we stayed with him for a week to get him to sell us some Oscar sired cows -finally on the last day he got Alex to agree to sell him the cows, and that was the beginning of the born to buck bull Wheeler breeding program that Nicky started and enjoyed so much,” remembers his wife of 36 years Beverly. Wheeler would work hard and develop one of the most coveted bloodlines of buckers in the industry and was wholly dedicated to the process until his sons picked up a rope. He followed the industry breeding carefully until his kids became of age to compete. “Nicky was crazy – always into one thing completely and after the boys started roping - it was roping, all the time, remembers Beverly. “Any kids that needed a daddy to push steers or anything at the youth competitions, he would help whoever, always inviting kids to the house to practice,” continued Beverly. Nicky truly supported and completely loved helping youth with their dreams, and many will carry that memory of Nicky forever. Wheeler showed horses as a child, and his passion for all things livestock lives on with his son Blake getting his feet wet in the bucking bull business and is now continuing the born to buck program at the Wheeler ranch, working and competing with the Wheeler bred bucking stock. Nicky and Beverly started Fresh Country Wholesale in 1983 in Longview, TX. This grew into a family venture with the addition of Nicky’s brother, Jimmy, in 1985, when the fundraising portion of the business began. Nicky, Beverly, and Jimmy have worked over the ensuing years with various FFA groups, elementary schools, and others, spanning five states. These groups and their members mean a agreat deal to the Wheeler family. Recently, Wheeler’s son Cole has assumed his position at Fresh Country Fundraising working with his uncle Jimmy WHeeler who created the business, Fresh Country Fundraising, with his brother in Longview in 1988. Fresh Country Fund Raising offers schools and organizations the opportunity to raise money through professionally developed Fund Raising Programs. Both remain committed to continuing the business. 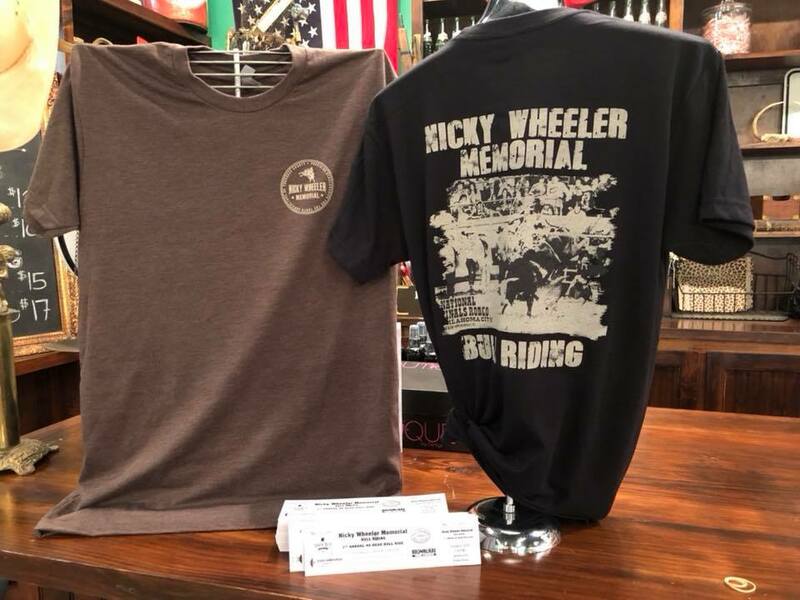 Doing something concrete and meaningful that pays tribute to the life that was lost is a way people are often able to find peace in a loss, and the Nicky Wheeler Memorial Bull Riding this weekend will celebrate the life Nicky loved. On April 18 we buried only Nicky Wheeler’s body. His spirit, his soul, his amazing ability to give is still with us. He lives on in the stories people are sharing tonight both on and behind the bucking chutes, in the stands and in their hearts of how he touched their lives. His love is in the spirit and resilience of his children. Things will never be the same – but the world is better for the years Nicky Wheeler was alive. 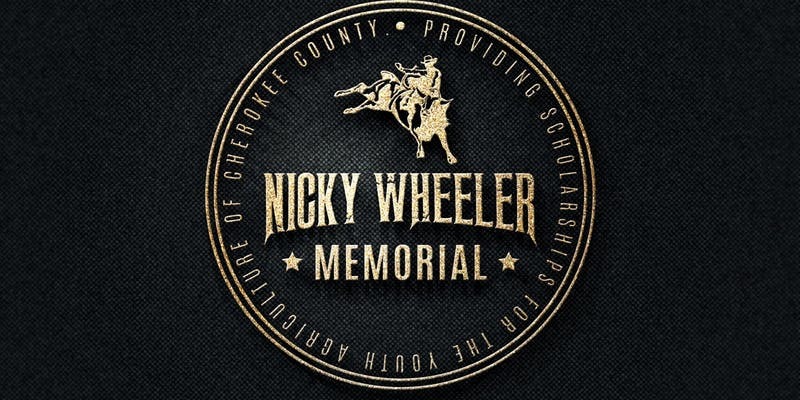 Tickets for the Nicky Wheeler Memorial will benefit the youth scholarship program of Cherokee County. Tickets are available at https://www.eventbrite.com/e/the-nicky-wheeler-memorial-bull-bash-tickets-48716784213 or at Raven Jute Company, 107 East Commerce, Jacksonville, Texas. Tuff Hedeman, NFR Qualifier Boudreaux Campbell and Professional Bullfighter Bryce Redo will be signing autographs at Raven Jute on Saturday at 1 pm. Mr. Wheeler passed away Sunday, April 15, 2018, in Tyler. He was born in Lubbock, Texas and graduated from Robert E. Lee High School. He was the founder of Fresh Country -Raising in Longview. He is survived by his wife of 36 years, Beverly Conine Wheeler; his sons, Trent Wheeler, Cole Wheeler and Blake Wheeler who will be in Jacksonville on Saturday night. Nicky was preceded in death by his parents and his brother, Billy Don Wheeler. He is survived by his loving family, including his wife of 36 years, Beverly Conine Wheeler; his sons, Trent Wheeler, Cole Wheeler and Blake Wheeler; siblings, Alan Neil Wheeler and wife Rachel, and Jimmy Wheeler; his uncle, Lloyd Wheeler and aunt, Sandy, as well as many nieces and nephews; and his lifelong friend Ricky Blalock. “He had more ability than me, Tuff Hedeman, and Jim Shoulders all rolled together,” continued Gay. Described by Gay as having an inherent unique natural ability. We would ride the same bull, and I would marvel at how easy he made it look. “Never met a man that was more loved than Nicky Wheeler. He had a big heart and never met a stranger,” ended Gay.